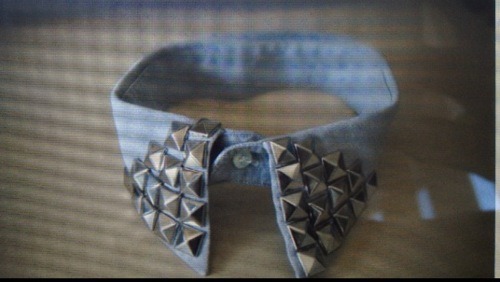 Collars and cuffs have been given a makeover! Whether it be a double collar, as I’m wearing above, or a beaded or studded collar, it’s worth paying extra attention to this previously neglected area. 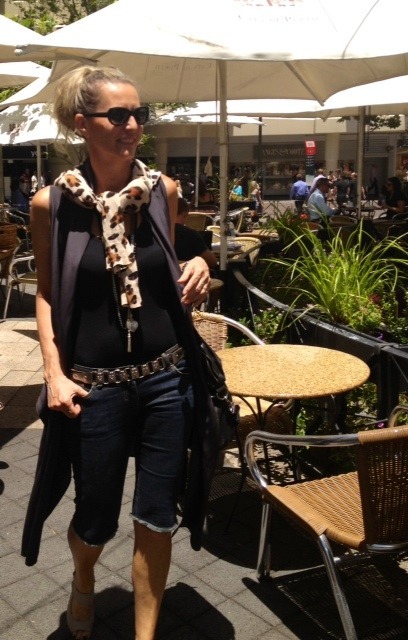 I’ve tucked the Ellery leopard collar under the buttoned up dress collar, to create a double effect. 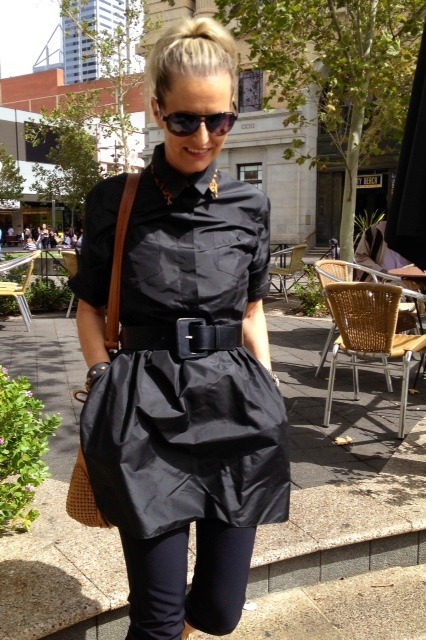 I’m wearing a Jayson Brunsdon, shirtmaker dress from Myer. Look at its length!! 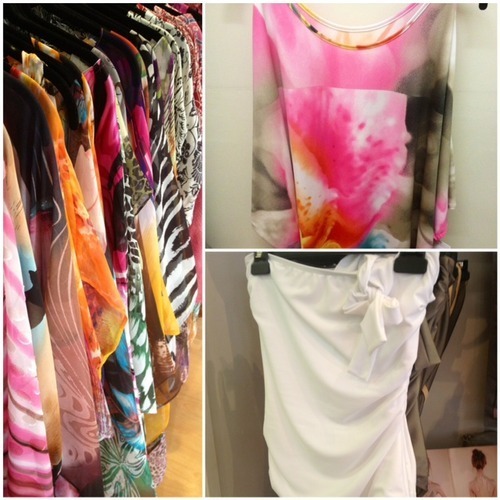 It’s way too short to be worn on its own, so a pair of leggings or tights are essential. Hmmm, wish Jayson and a few other designers would add 6-8 cms to their dress lengths!! 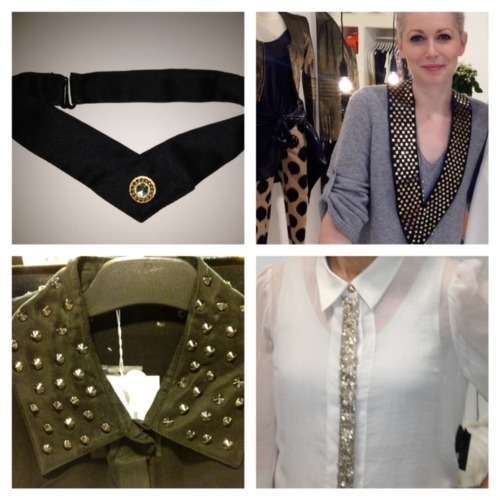 The over-sized, leather ‘n studs, sass & bide neck cuff (Top R) or a manstyle neck pin (Top L), add interest to a jumper or bare neck. A studded collar or beaded front pleat (bottom), are other ideas to add interest to usually plain areas. 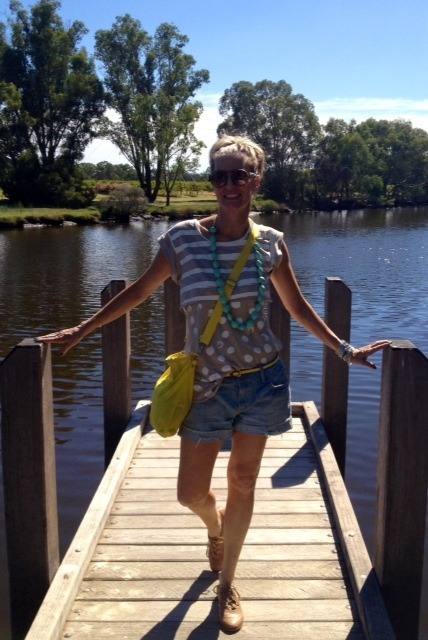 An AndAndrea challenge… Try creating your own unique collar!! Cut up an old shirt. Visit a craft shop for beads or studs and get creative! It’s so satisfying.